Several weeks ago one of my best girlfriends invited me to a flower arranging class at Avant Garden. 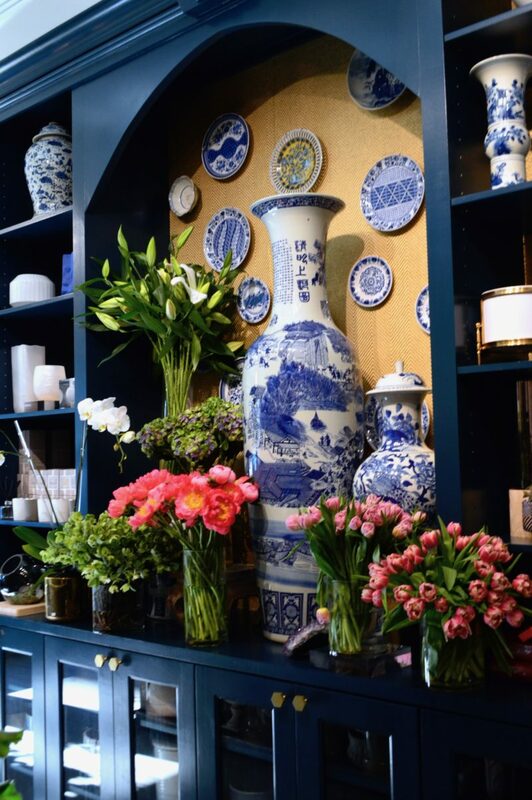 We both share a love of home and garden (and Ina Garten! 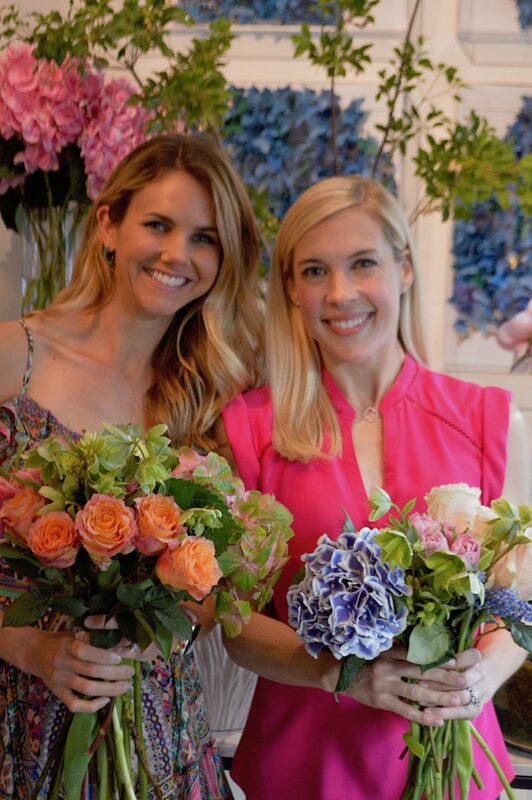 ), and so it was such a treat to have a girls night celebrating flowers. 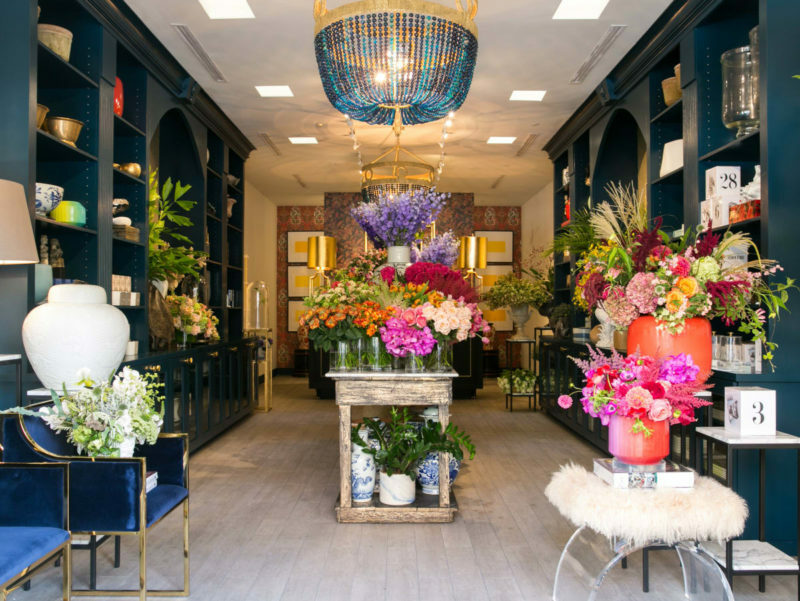 As we stepped through the golden doors and into Avant Garden’s beautiful shop, we were greeted by what they deem their Flower Bar – endless vases of fresh and fragrant blooms. 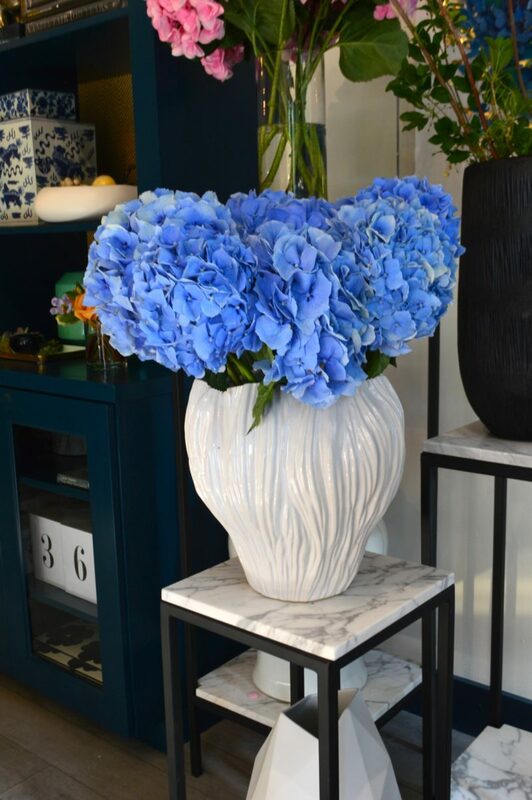 Flanking the flower bar are floor to ceiling sapphire hued cabinets filled with books and luxury home decor, as well as incredible art – this store is a real treasure trove! We made our way downstairs and after nibbling on macaroons, the class began. We learned about the importance of using clear tape to create a grid for the flowers, as well as techniques to trim stems and how keeping arrangements in the fridge at night will help them last longer. Much to everyone’s delight, we were given a “recipe” and told to choose our favorite flowers from the flower bar for our arrangements. 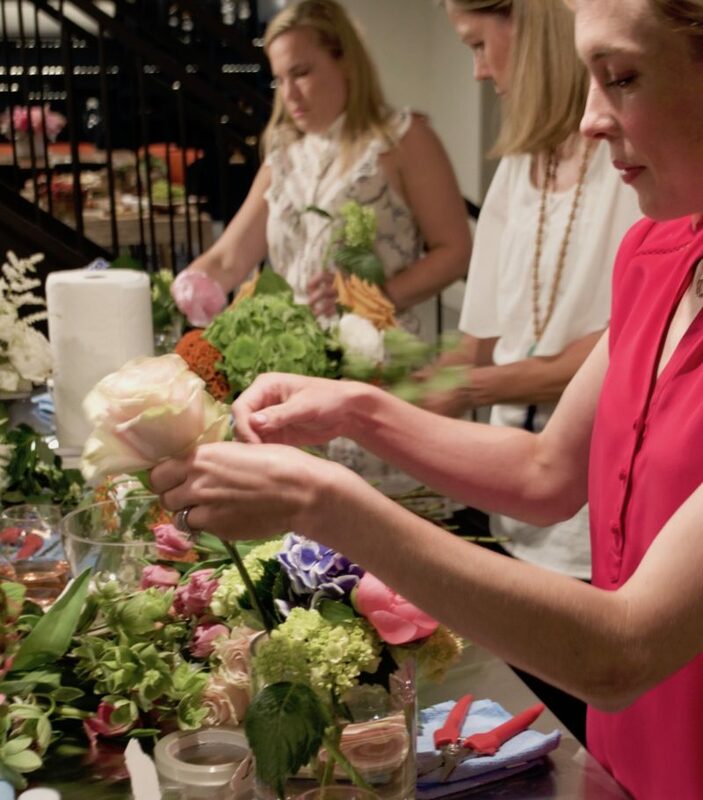 I loved this part because at other flower arranging classes I’ve attended, we’ve had to recreate a sample arrangement, and so having the freedom to choose our own colors and flowers really let us all have fun and be creative. And everyone’s arrangements looked different – some were teeming with pinks and greens, others with yellows and oranges, and others with whites and blues. They were all absolutely stunning! 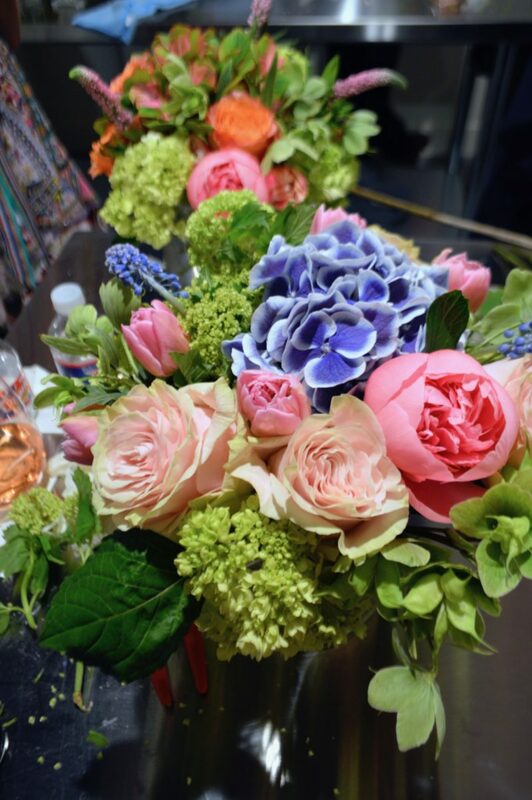 I chose purple and white hydrangeas, bright pink peonies, pale pink roses, and delicate greenery to fill in – all of my favorite flowers and colors nestled into one special little pave style arrangement. While we snipped stems and tucked flowers neatly in the vases, the class host’s played flower trivia and some of the attendees even won prizes. 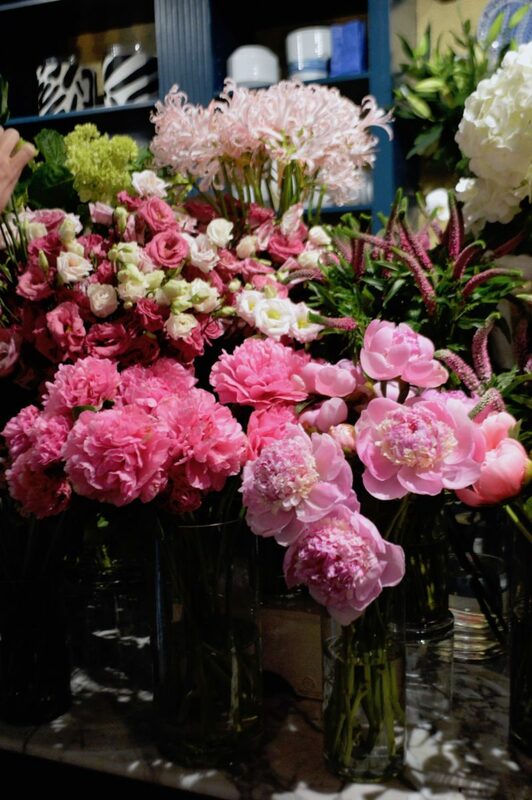 I had so much fun at Avant Garden’s flower arranging class, and look forward to attending another one again soon. Here are a few pictures and if you live in Dallas, try to pop into their store!